‘Green Gas’ is the new fossil fuel fashion accessory – The newest marketing line you’re going to hear is marketing ‘green gas power plants’ – natural gas plants connected with solar power. Natural gas and solar power are solid partners when building a power plant because natural gas plants can quickly be spun up to produce electricity as solar power wanes. And of course, if you mix the gas’ CO2 output and the total amount of electricity produced by both power plants (sun and gas) you will get a low amount of greenhouse gasses per kWh – thus ‘green gas.’ Don’t be fooled. We still think the future is solar + batteries. Solar power plants being sold to investors (I like this) – Canadian plant at $199M US for 60MWAC and a Greek 23MW plant for $43M. Solar power plants being sold to investors is important because it represents a healthy exit strategy for developers who want to take the risk of building. Liquidity will mean more money will feel safe to invest, this will lower the cost of said money, leading to cheaper solar, which will lead to more solar – which lowers the price as well, and we get this virtuous business cycle. New findings on the PV technology roadmap for p-type multi modules – Expect 350W commercial solar panels in 2018 due to changing technologies increasing efficiency. At the beginning of 2016 I was buying 310-320W panels, by the end of the year I was buying 330W panels. This increasing wattage – 10% more wattage in the same panels as we move from 315W to 350W – means cheaper install costs since you do th exact same work for more wattage. 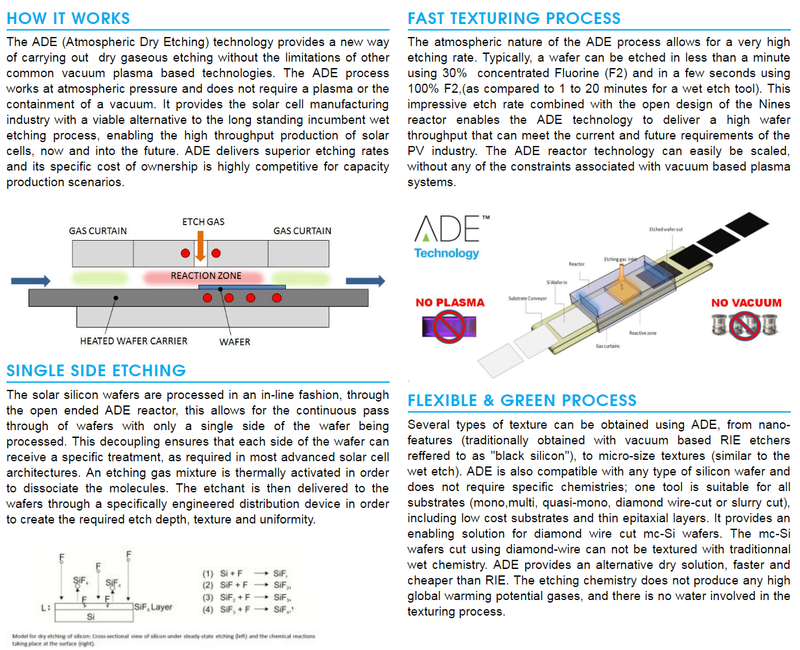 Irish firm creates inline ‘atmospheric pressure dry etching’ machine that decreases cell production cost by 25% and ups efficiency – The machine that does the processing can be quickly added into to the already running production lines (including those running new technologies such as PERC and diamond wire cutting). A 1GW factory might need ten of the machines. The company says the market for this machine is about $1B over the next few years. The modular nature of solar cell production is really amazing in that it allows for different pieces of hardware to be upgraded independently – this lowers the investment risk of obsolescence in billion dollar factories. We knew that burning coal was affecting the climate more than 100 years ago. Probability is that someone who says otherwise is lying to you in order to manipulate you.